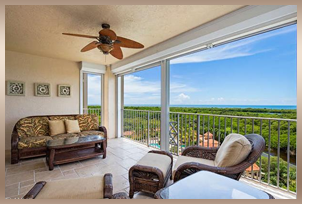 The high rise condominium buildings in Pelican Bay are strategically situated right in the middle of the natural habitat that surrounds Pelican Bay. Aside from the Bay and Gulf that are readily available to be viewed by its residents, the high rises are adjacent to the rich natural estuaries and lush mangrove forests that have been untouched since the commencement of the development of the community. St. Kitts is located in heart of Pelican Bay, accessed from Pelican Bay Boulevard. This high rise condominium community offers living areas that range from 1300 to 3600 square feet. St. Kitts offers six unique floor plans and has a total of 97 residential units on 22 floors, and offers various lifestyle and recreational amenities such as tennis courts and a fitness center. For discrete and professional service, please call me to schedule a private viewing of any one of these Pelican Bay high rise listings. If you would like for me to do all of the research for you, please call me with your search criteria and I will email you all of the listings that you should be considering, and that specifically match your lifestyle requirements. 239-963-6590.